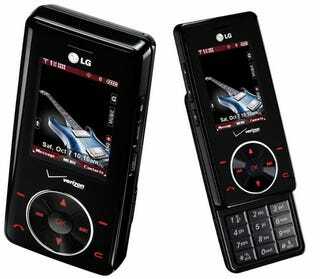 Just as we predicted last week, here it is July 31st and LG's Chocolate VX8500 phone is now available on the Verizon website. The good news is that with a two-year contract Verizon is doling out a $50 online discount, bringing the price of admission down to $149.99, $50 less than we thought it might be. Buy it online now or wait until August 7 where it will be available in retail stores. Oh yeah, and if you're only willing to commit yourself for one year with Verizon, the coveted LG Chocolate phone will cost you $100 more, at $249.99. Either way, that's just one purdy phone, what with it being all black and chocolate-y and all.